What does it mean? Are these veggies better? Are they more expensive? What is the buzz all about? Here are five advantages of heirlooms over traditional grocery store hybrids. Before you know it, you will depart from unsure, yet curious, to heirloom pro. Let’s get started! 1. 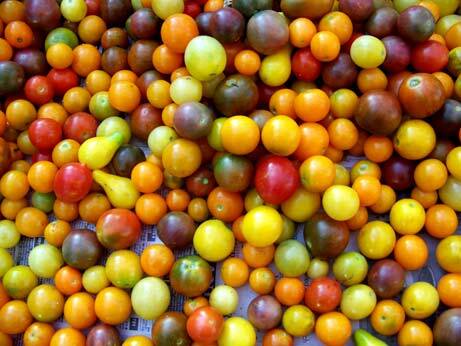 Exceptional taste is the #1 reason gardeners give for choosing heirloom varieties. Many heirloom vegetables have been saved for decades and even centuries because they are the best performers in home and market gardens. Even today, small market farmers don’t usually transport their harvest in huge tractor trailers. There’s no need to plant veggies bred to be tough when you can plant heirloom vegetables that are tender, sweet, juicy and just plain delicious. 2. Heirloom vegetables are likely to be more nutritious than newer varieties. So, what is a good place to start, you wonder? They are loaded with lycopene, a supercharged antioxidant that’s been associated with a lower risk of developing a number of different cancers including prostate, skin, and breast. 3. Many gardeners prefer heirloom vegetables because they are open-pollinated, which means you can save your own seed to replant from year to year. With heirloom vegetables you can choose what works best for your garden. If you save seeds from heirloom vegetables over several years, you can gradually select seeds from the plants that perform best in your local soil and climate. This will give you a seed strain that is more resistant to local pests and diseases. Plants are much more adaptable than most of us realize. 4. Heirloom vegetables are less uniform than hybrids, which means they often don’t ripen all at once. Commercial growers love the uniformity of hybrids because they can pick the crop in one fell swoop. But for home gardeners, a gradual supply of fresh produce is usually preferable. 5. Many heirlooms have wonderful stories of how they came to America. In many cases, heirloom vegetables have been grown for many centuries all around the world, from gardeners and families near and far! 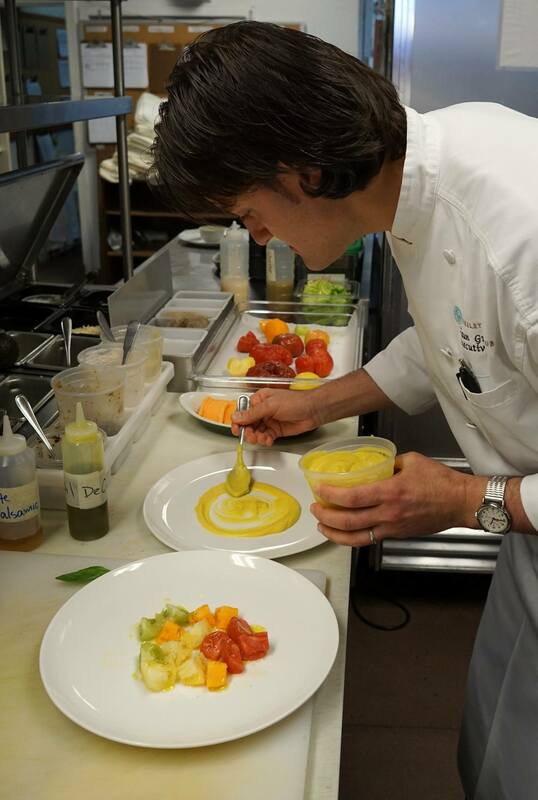 Chef Alaun loves to use heirloom varieties of veggies often. Ready for a taste of Fall at Julia’s? Come in and try the Heirloom Squash Soup with Spiced Pear Relish. Sounds right up my alley! Can’t wait any longer to come in? Reservations are available for Lunch, Tuesday through Friday, from 11:30am – 2pm and for Dinner, Tuesday through Saturday, from 5pm – 8:30pm.